ARRL’s Collegiate Amateur Radio Initiative (CARI) will sponsor the first Collegiate QSO Party in mid-September, just as the fall semester gets under way. The new operating event is part of the larger effort to promote a renaissance of Amateur Radio clubs on college and university campuses. “Existing contests are great for club activity, but there is a critical need to get collegiate stations on the air early in the semester and drum up attention,” Andy Milluzzi said. 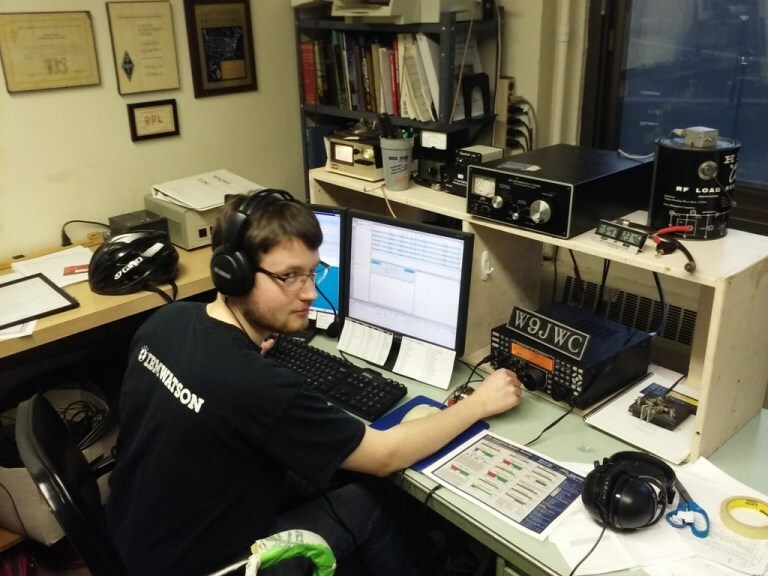 He said the ARRL School Club Roundup (SCR) has been popular with college students, but it’s later in the semester, when college students are more deeply involved with their studies. The Society of Midwest Contesters also created the North American Collegiate Championship in conjunction with the North American QSO Party (NAQP) SSB event. Andy Milluzzi said the Collegiate QSO Party hopes to capitalize on the success of both events. In a nutshell, the concept is an Amateur Radio operating event that focuses on collegiate Amateur Radio, with the goal of promoting student activity, alumni engagement, and community awareness. The contest is open to all radio amateurs, including school clubs from around the world, the Milluzzis said. There is no explicit bonus for DX and no US-specific awards. Points may be earned by individuals, clubs, and collegiate stations. New hams are welcome and collegiate clubs are encouraged to accommodate newcomers. Full details on the Collegiate QSO Party will appear in the September 2018 issue of QST.